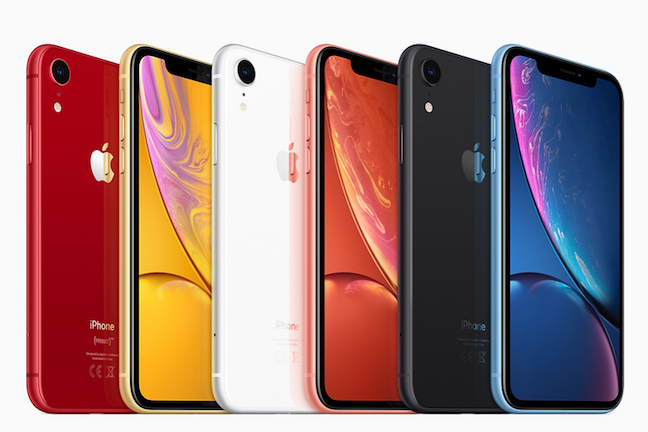 Apple has yet to replicate its Japanese iPhone price cuts outside Japan – but has introduced a surprise new trade-in rebate on its home turf to stimulate interest in the costly bling. The US-only rebate added another $100 for trade-ins on its ‘Give Back’ rebate programme. Most of Apple’s business comes from current owners – as few people shift between ecosystems. But it’s reportedly having an increasingly hard time persuading owners to upgrade as iPhone prices increase. Owners of an iPhone 6s will now get an additional $100 towards the purchase of a iPhone XR or iPhone XS (to $200). Throw an iPhone 7 at Apple instead, and they’ll throw you $75 extra (or $250 in all). That brings the cost of the basic XR down to $549 and the “basic” XS to er, $799. (The offer isn’t replicated in the UK, where an iPhone 6s with 32GB carries a measly £70 trade in value, all-in, lower than other merchants who use the same third-party to handle the scheme). Inferring iPhone demand from the health of the supply chain is perilous for a variety of reasons, but with Apple now ending its practice of disclosing unit shipments, it’s the best analysts can do. Two major recent reports have signalled soft demand for 2018’s models. Nikkei got the ball rolling by reporting soft demand for the XR at the beginning of the November. Bloomberg reported that Foxconn will cut expenses next year, which was interpreted to mean weaker than expected demand iPhone. The WSJ reported that demand is lower for all three new models, with a third knocked off the earlier production plan. It also cited cuts to revenue estimates by key suppliers including Qorvo and Lumentum. Digitimes followed with news of a second wave of reduced orders at Foxconn. Chip manufacturer TMSC is said to be in decent nick, largely because its one of only two fabs that can produce 7nm chips (the other being Samsung) for competing manufacturers. It is worth remembering that smartphone demand is falling across the globe.